Fresh to market directly from the family. This superb lot comprises court mounted medal group of 1939/45 Star, Africa Star, Burma Star, Defence Medal, War Medal. Midland Bank Cheque (Thousand Pounds of Health and Happiness), ASC Sweetheart badge. 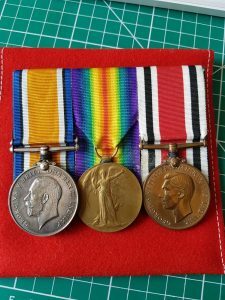 Received directly from the family these are the medals and effects of T/106587 Driver George William Spencer, Royal Army Service Corps. His son, the vendor, has applied for the service papers as next of kin and we hope that he is successful in this application. These will be forwarded to the eventual buyer of this fresh-to-market lot. The documents are in understandably poor condition. The Pay Book records his address as Wandsworth, London, with the later address in Marlow, Buckinghamshire where they moved to escape the bombings. 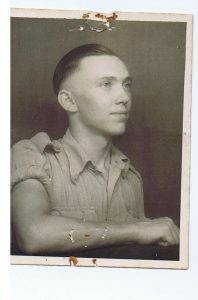 He was born London, 8th July 1919 and was released from service 15th February 1946 having been called up for service 9th October 1939. This lot comes with a related World War 1 group with Special Constabulary Medal to The Buffs. Buffs, East Kent Regiment Medal Pair with Special Constabulary Medal (GVI). To George Edward Victor Miles. British War Medal and Victory medal Pair named to: 2431050 PTE. G. E. V. MILES. E. KENT. 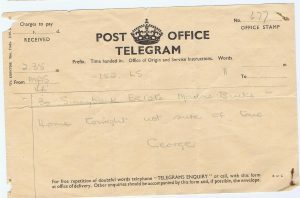 R.
Special Constabulary Medal named to GEORGE. E. MILES. 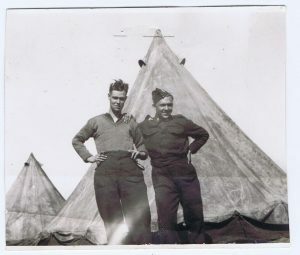 Medal Index Card confirms the award of the BWM and Victory Medal pair, Medal Roll confirms that he served in the 1st 5th East Kent Regiment, The Buffs. 1/5th (Weald of Kent) Battalion in August 1914 : in Ashford. Part of Kent Brigade, Home Counties Division. 29 October 1914 : to India. The Division was broken up on arrival in Bombay. Joined Jubbulpore Brigade in 5th (Mhow) Division. November 1915 to 35th Brigade in 7th (Meerut) Division in Mesopotamia. Brigade moved to 14th (Indian) Division in May 1916. 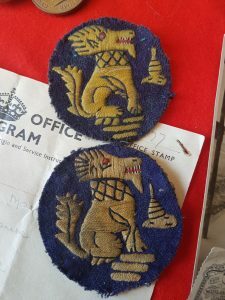 Posted in 1939/45 Medal, Antiques, burma star, Chindits, great war, medals, Medals, royal army service corps, World War 2, World War OneTagged "the buffs, burm star, burma star association, chindit, Chindits, east kent regiment, the queens, ww2Bookmark the permalink.